The highlight of Mattancherry Palace or the Dutch Palace is the carved ceilings and murals inside. 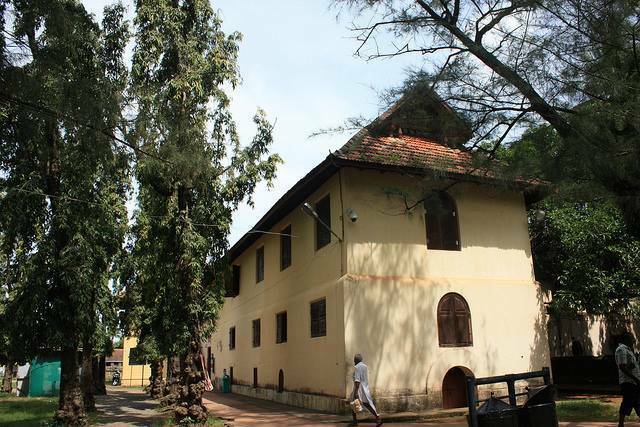 It was built by Portuguese to be presented to the King of Kochi and later some renovations done by the Dutch. In its early history, the palace was wrestled back and forth between the Portuguese and the Dutch. But it is the Indian flavors that round off the palace. There are murals from the Ramayana, the Mahabharata and the Puranas. There is a temple to Palayannur Bhagwati in the central courtyard. Open 9am to 5pm Saturday to Thursday.